Oh my goodness! How excited was I to finish chapter four in Differentiation in Practice, flip the page, and discover chapter five was another math unit?! It’s hard to tell when someone is being sarcastic on the Internet, so let me tell you I am being absolutely sincere. As I mentioned in chapter four, math is my weakness when it comes to teaching, so any extra resources are always welcomed with open arms. 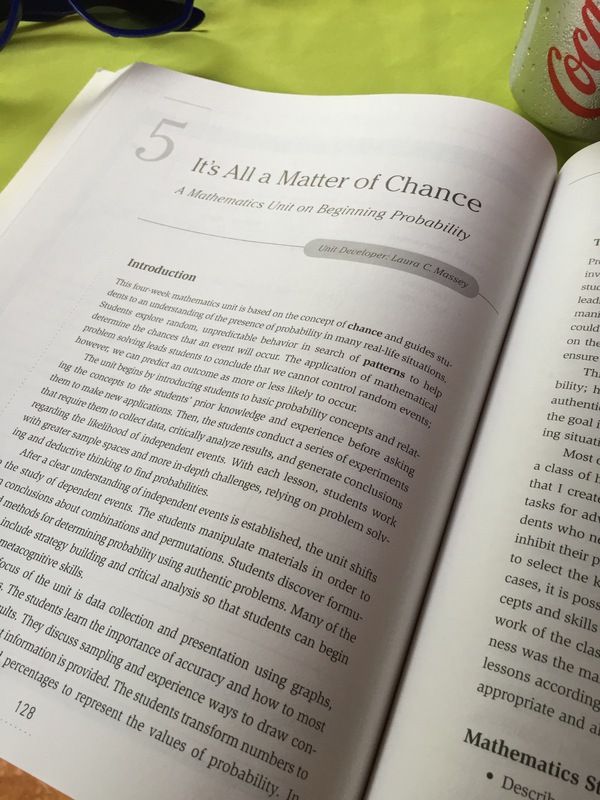 This chapter is titled “It’s All a Matter of Chance” and is all about probability. 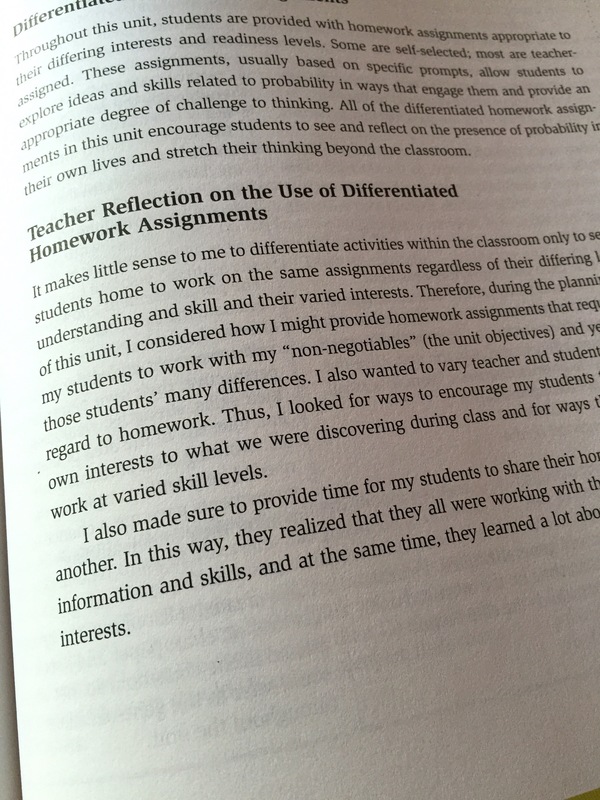 Beginning the chapter, the unit creator (Laura C. Massey) discusses her approach to homework within the unit, which differentiates homework as well as gives homework according the students’ own interests. I like this approach because it allows the students to really enjoy their homework and because it’s something that’s easier to do in a stays and probability unit over, say, a unit on operations. Overall, I found this chapter helpful. Indeed, with statistics and probability there are a lot more fun activities to do with the class to aid in teaching; this was helpful in proving ways to differentiate those games, activities, and lessons for various learners. If you’re interested in the book, here’s the link to it on Amazon. We’ve only got one more chapter left, folks!